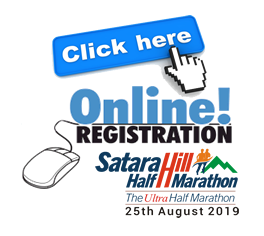 Registration for the main event, the 21 K Half Marathon for SHHM 2019 is now HOUSEFULL across all registration categories. In fact, the entire lot of seats in General Registration 21 K Category was filled up in just 71 minutes after opening of the registration window, at 5 am on 7th April 2019. The additional quota of DRDP Premium seats was also similarly subscribed fully, in just about 5 hours. We are still being inundated with requests for more registration by runners from across the country. We would have loved to accommodate more runners for the upcoming event, but we are bound to stand by our principle - which is always "Runners First" - meaning that the experience of our registered runners is of paramount importance. We wish you better Luck next Year !! !